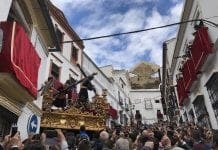 A CONTROVERSIAL train line that threatens to carve up Ronda’s main tourist valley has been included in the new town plan shining a light on the mayor’s empty promises. The new PGOU plan, which is open to the public, shows the line running west of Arriate through Llano de la Cruz to a new station at La Indiana. 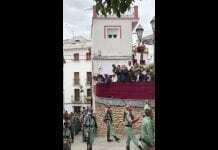 Despite protestations of hundreds of locals and businesses, the line will come within yards of Hotel La Fuente de la Higuera, voted by Trip Advisor among the Top 10 in Andalucia. This comes despite the current PP mayor Maripaz Fernandez promising residents at various meetings in December that the train would stay on the existing line through Ronda town centre. She insisted central government had agreed with this plan, although she was unable to explain how they would get the freight trains up the famously windy, narrow stretch of line going past Arriate. Now, it seems the town hall has done a complete U-turn putting one of Spain’s top hotels – and dozens of other tourist businesses – under threat. But not everyone is surprised by this seeming change of heart. “An initial draft of the PGOU was created two years ago which though never published always included the line through Llano de la Cruz,” said a town hall source. Meanwhile the mayor insists her position has not changed. “We received different information verbally but, as yet, this has not been included in the official reports. The public now has three months to contest the plan. Next articleAntonio Banderas headed for divorce? Where will the money for this aberration come from? Spain can’t even flog it’s houses, how can it sell this silly deal? A disgraceful state of affairs. A decision like might lead to a campaign of civil disobedience because it affects the lives of thousands of people. Not sure if that will happen though. It might come as a surprise but tourism is not the most important part of the Spanish economy. This freight line and a lot more should have been among the first projects to kick start Spain’s economy as soon as the country joined the EC. A bunch of NIMBYs’ don’t want things to change, same as back in the UK. Andalucia does not nearly match the input of places like Catalunya or Pais Vasco to the Spanish economy. As more north Europeans stay home and will do in the future it is vital for Andalucia to diversify into more sustainable economic activities – that this does’nt suit your narrow selfish perspective – tough. Stuart, I agree with you. This AVE project will affect thousands of ordinary people who have no connection with tourism whatsoever. However, it is undeniable that tourism is a significant employer in rural Andalucía, an area with already high levels of unemployment. I don´t think it is NIMBYism when people want to preserve the peace and quiet of the countryside whilst conserving their houses. There are people whose homes will become unbearable because of noise levels if this project goes ahead in its present form. Many will not want to move and, even if they did, they would not be able to sell their homes because their homes will be blighted. I am all in favour of moving freight off the roads and onto trains, but that has to be done sensitively. Money has to be made available for compensation purposes and, so far, I see no mention of that in the plans. Talking of NIMBYs, I think there may be a few TGI-NIMBYs around – Thank Goodness It´s Not In My Backyard, “so I can play fast and free with my sentiments”. There are thousands of ordinary people, mostly Spanish and a few non-Spanish, who will be adversely affected by this project and, to date, I don´t think there has been any talk of compensation for them. But they are the ones who we should be thinking of. Either that, or do as Cal suggests, build tunnels. We know that progress always comes at a price. I think it is fair to say that this AVE route represents progress. Freight off the roads and onto railway wagons; fast export routes opening up. So, next we should look at the price that will be paid by all those people who own homes next to the railway line. Because they are the people who will pay the price if this project goes ahead. At Estación de Benaoján, for example, there are plenty of houses that were bought years ago by ordinary people who simply wanted to live there. People who work in the pork processing plant, local hotels and bars, and so on. There are a few trains a day, and that is that. The same picture is replicated at La Indiana, Estación de Jimera de Líbar, and so on. Now their lives are going to be thrown into upheaval and those are the kinds of people we should be considering. It looks as if the AVE backlash has already started. Better get used to the idea … it’s coming for sure! As for those who claimed otherwise months ago, well … don’t want to say “I told you so”. But I did! So I will. There. Ps Trains is better than planes! Any claims of NIMBY-ism are fair enough (though I’m sure those making the NIMBY claims will concede that they are always made by those whose backyard remains untouched. Some are confused in thinking that this line will somehow be part of a ‘sustainable economy’ in Andalucia. Firstly, you will not find many who will make this claim in the areas that already have the line – and were sold on its economic gain. Secondly, a worldwide huge market economy is….tourism. It not only represents trillions of dollars – but is growing exponentially worldwide. Tourism. Precisely what this train will wreck. For now and for future generations. As previously stated, if the economic argument by those who are to gain the most from this is so compelling – then they will have no argument with building a tunnel (the technology of which is now very advanced making it easier to do) instead of asking others to pay the price for their gain. When this project was first launched it was sold to the people of Europe as a means of transporting European goods to the ever growing market in countries outside Europe. The Chinese got on board with help financing the project because they could see the advantages for China. As the people of Europe struggle economically, the market for cheap goods increases and more “China Cities” selling everything but the kitchen sink and probably won’t be long before they sell that too, spring up on our empty high streets. Local businesses go under and the unemployed workforce increase as the “China Cities” are staffed by Chinese . The people of Europe need to wake up. The rest of the world is not sitting waiting on goods from Europe arriving on their doorsteps, they have moved on and can afford to buy cheaper if not better. Cal is right when he says tourism is a growing market. Wherever you go in Europe the Chinese are photographing our beautiful countryside but for how much longer? Soon the birdsong in our once beautiful valleys will be drowned out by the noise of high speed freight trains and the tourist nowhere to be seen. You cannot stop a juggernaut and the Spanish will not be able to stop completion of this line but they need to take a stand to protect what is theirs before it is too late. We have the Churriana tunnel so let’s have the Ronda Valley tunnel, after all if they are that desperate to get their goods to market they can afford to pay the price. should’nt you be directing your comments on those greedy Europeans but particularly in the UK who realised that they could make more money by closing down the UK operations and re-locating to China/Thailand/Indonesia/Malaysia or like the greedy scum at Lipton’s who closed their plants in the UK and transferred to Poland. So you are quite OK with knowing that your cheaper goods are at the expense of other peoples working for peanuts in other parts of the world and living in terrible conditions – were your family slavers – they did’nt care either. Stop blaming the Chinese and start blamimg those really responsible – the greedy industrialists who are all white but no it’s easier to blame Johnny foreigner, especially if he’s a different colour. But for this uneccessary greed there would be far less unemployment across Europe. You may not know but the Germans (who are not allowed to shut down plants in Germany) built a superb and massive computer controlled train marshalling complex near Hamburg. It handles literally thousands of goods trains per day. Have you ever visited the Ruhr – it is a vast ugly sprawling eyesore. But if you asked the German people if they wish it to be de-constructed and return to some myopic rural idyll, not being stupid like a lot of UK nimbies, they realise that their standard of living would return to one of subsistence. I visited Spain in the mid 60s’ and that is how the vast majority of Spanish lived, no sewage system, I remember an unheard of rainstorm sending the turds bobbling down the streets in the centre gullies in Almeria, quite funny until my friend Brian slipped and he went bobbling down the street as well. Water brought in by tanker. In the Alpujarra – only one bus per week in and out. Tourism may grow for a few years but once governments quite rightly tax aviation fuel flying will become what it once was a form of travel for the rich. I can hear the ignorant saying that there is plenty of oil left but where, offshore in deep water. I’m lucky I have a cousin who is a big honcho in the oil industry, a geologist who has worked all over the world in every major field – oil is going to get more and more expensive – what price oil based tourism when the price reachs a steady $150/200 per barrel. If you had’nt noticed, Europeans have been living beyond their means (as have the USA) – the day of reckoning is almost upon us, where will that leave your tourism. This freight line will only spoil the view and increase the noise (do the Spanish actually notice noise in any form at all) for a small percentage of people. Imagine the thousands of trucks taken off the road and this right across the whole of Spain. The French right now are designing a whole system of high speed freight lines – I don’t see or hear any French moaning about this – they know it makes economic success. If you want to live a 21st century life then high speed freight lines will be a small price to pay. A. Your picture of economic armageddon because of scarce oil 1. that’s contentious, there are still a lot or reserves out there (I work with worldwide OilCos and their service and support companies)2.The reason why those same organisations are investing into alternative forms of energy is because they see a future in it (I’ve been driving a hybrid car for 8 years!) 3. If your theory that oil armegeddon will dry up the tourist market comes to pass , do you think that’s the only market it will affect? How do you think they make the goods that your freight lines will transport? With elastic bands and mirrors? If your Oil armegeddon theory comes to pass their will be nothing to freight! B. You’re dismissive of the tourism market. The biggest, I repeat the biggest economic market in the world. Spain is second top in the world for tourism receipts at $60 billion dollars in 2011. And there has been practically a straight line in growth in tourism worldwide since 1950 – no matter the economic ups and downs since then, this market has prevailed more than any other (esp. huge growth in the Asian market recently – with the moneys from the goods they are selling us. Please note that this demand is not based on freight line tourism…no matter how lovely the trains might look). As remarked to me today by a recent returner from the Greek Islands – without tourism, these places would be dead economically. C. You’re confusing your invective over NIMBY’ism with the need for a freight line. If the need is so compelling – and you seem to be convinced – let’s make sure that it’s tread is as soft as possible. If you are as confident as you claim to be of its need, then the marginal increase of tunneling through sensitive areas who rely on tourism , can be discounted in the many, many decades that the mooted freight line will be with us. D. This is not a mutually exclusive argument. Progress does not need to come with jackboots included. Build the high speed freight line for the consumerist westerners of your invective – just don’t lay waste to other local economies and ecologies as you do it. Can’t afford to do that? Then where’s your economic argument for building it? Tunnel it. It’s relatively easy (and getting easier – and cheaper). The consumerist market gets its plastic trinkets and the Ronda Valley ecologically and economically is maintained. Thanks Cal for your reply to Stuart. I could not have put it better myself. For your information Stuart I am not a racist nor do I blame the Chinese who by the way are the same colour as me, for hopping on the band wagon or maybe it should be the train! I have no desire to live in the last century. If it was possible I would buy everything I need locally, so that the journey from source to consumption was as short as possible. I am a realist and I know this is not how the market works but why destroy a beautiful valley when as Cal says, you can run the train through it inside a tunnel. No visual intrusion, no noise tourism continues as before and if those who lose land or homes are adequately compensated, where is the problem? Your Capitalist pays and so he should! you are quite right about the straight line upwards of tourism and why was that – because jet travel became LESS expensive as newer and bigger planes came onto the market and of course the biggest factor of all – money available for discretionary spending. Has the last 5 years passed you by? Massive unemployment across the western world and it is’nt going away anytime soon. Huge debts run up by virtually every western country – Norway is an exception but then that country is run very sensibly (I know because I have worked there). How many Brits would have been able to buy a property in Spain if they had to pay capital gains tax on all property transactions and the whole world can see the insanity of the UK property market. As to oil you just are not being truthful at all – all the easy deposits have been found. The only reason that oil majors are investing in alt. energy is for that simple reason – disingenuous not to admit that. You are not a geologist are you! Tourism – last night I saw an item on the French news – B arcelona’s beaches empty/bars and restaurants closed down. Here on the Olive Press – only 80% occupancy for the hotels on the Costa del Sol – it ai’nt growing it’s dying and why because people just don’t have the money to spend and they will not for the forseeable future. Also a lot of northern Europeans have discovered that they don’t like the intolerable heat and are taking holidays at home or in cooler climates. Spanish tourism took off because it was cheap. I have met two French people where I live in rural France and they both sold their Spanish holiday homes because ‘it was no longer cheap’ and they both forsaw the collapse in property prices. As the justifiable re-action to Rajoy’s cost cutting grows and the brutality of the police continues the level of civil unrest will grow – tourists don’t want to get caught up in another countries violence. I remember just how basic health services were and perhaps the one of the best things the Spanish did was to modernise their health service but now the money is’nt there. When the ordinary Spanish see that wealthy foreigners can afford to pay but they can’t, what do you think their re-action will be and what will happen to all those foreigners who can’t afford private health care. Europe as a whole is looking at a minimum of 10 years of austerity I think you should factor all these together – you say the only way is up – I say the only way for countries like Spain is down and if Spain goes so will the country where I live as the French like the Germans lent Spain and Greece and other southern European countries money to squander – it’s pay-up time now. Incidentally where you aware at all of the construction bubble in Spain – non of the Brits seemed to have an inkling of what was taking place but lots of Germans/Dutch and French were savvy. 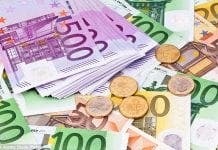 If the Germans refuse to subsidise Spain – the Euro will go in it’s present form and may find life rather expensive and a little dangerous in a Spain with the Peseta. b – falsified numbers by hotel associations to get more ayudas etc. etc. Anyway the CdS should not be a role model for any touristic future plan but rather the anti-plan. Your plan of turning Spain into a transit country for plastic crap definitely doesn’t sound like any alternative, to me it sounds like just another “make some Tios, who only care about themselves, rich quick” scheme. Stuart – with respect I think you are confusing your passion/hobby horse for the failing/greed of western/UK economies – interesting on its own, I accept – with this issue of the train line. Are you on the right forum? On the points you made…. 1. Ofcourse the easy oil has been done – but then the low fruit in any market is always picked first. I work with a number of 2nd tier OilCos who are doing very nicely out of getting the less easy oil out of the ground. As humans we progress and what is difficult to access , with directional drilling and better geo-survey becomes easier. The same progress argument applies with alt. energy. But I feel that this doomsday oil scenario that you refer to is tenuous in its relation to this forum to say the least. 2. Given that 2011 tourism figures were up 11% on the year before and that this year the hoteliers I speak to in the area talk of making money in the summer because the Spanish market in the winter isn’t coming – obviously some international tourists have not heard your shout of Spain being too dear and generally unattractive to tourism. Let’s bring this down to the central issue. Does Central Northern Europe need this freight line? I remain less than wholly convinced but maybe it does. Will this affect the Ronda valley if it goes ahead? Very detrimentally. Can this be avoided? Yes, by tunneling. Like you I am not convinced that Europe needs this freight line in the present economic climate but I am sure that we will get it. I spend part of my year in the Llano de la Cruz valley and part in the UK, so I am technically a non resident in Spain with it seems, no say in these matters. I do however care what happens to the Valley and how my many Spanish friends will be affected. I should say that it will have very little impact if any on me, so I am NO NIMBY. I should also say that because I have no say in such matters that arise here, I am not sure how the system works in Spain but maybe you or another reader could explain. In the UK it would be necessary, as seems the case here to include such a proposal in the Local Plan. It would also be expected that the Environmental Department of the Local Council would prepare an environmental impact report and make recommendations such as tunneling, to minimize the effects of such a scheme on the local environment before the proposal could be approved by the Council. It would then be up to the proposer of the scheme to prepare the relevant geological surveys at their own expense. Failure to do so would mean that the scheme would not be approved or included when the Local Plan was adopted unless the proposed appealed to Government Inspector. The latter is likely to order compliance of the Local Council’s for the surveys to be completed before considering and ruling whether or not the proposal is included in the adoption of the Local Plan. I cannot believe that the Mayor and Local Council do not care enough about this lovely valley and the people who live and work in it, not to make such demands from the Proposer of this scheme or maybe the system here works in a different way. Is the valley currently ‘destroyed’ by the existing line ? Did people argue against it when Mr Henderson built it, or did they welcome the opportunities it brought ? I once heard a local, whose house is on the other side of the valley, describe the existing railway as being “a romantic distance away”. It really all depends on your point of view. Does the Millau-Valley viaduct enhance or desecrate that valley ? Are wind turbines hideous or beautiful. It depends. you say tunnelling is getting cheaper – are you a civil engineer. If you were you would’nt begin to talk about how ‘cheap’ tunnelling is – what is the rock in the valley – are there any serious water fissures to deal with – do you know? As to oil, no major oil company is going to let an outsider like you know what their actual production figures are, nor the truth about their reserves – if you really want a laugh read their annual accounts – I’ve never read a single company’s annual statement without having a laugh – pure fiction, are you related to Mr Macawber? As to it getting easier – more Macawberism – you’ve forgotten already the Gulf of Mexico fiasco and it’s an order of magnitude greater the problems of deep sea drilling. I don’t have a passion or hobby – those are your words I deal with the world the way it is not the way I’d like it to be. Crystal Ball you hav’nt got a clue about China – did you know that nearly all your small electrical appliances have been made in China for quite some time now – are they any less reliable than when they were made in the west. They are now making PV panels and selling them at half the price of western production – they also have a space programme and you don’t get to put a man in space with ‘plastic junk’. And Cal you betray quite wonderfully your own small area of interest – your figures for tourism are’nt those for the whole of Spain. Spain is heading for the crapper and anything that can improve the economics of the country as a whole should be applauded. PM, sorry I forgot to comment on your post. I’ve seen the Millau viaduct ( I live not far from there)and it is incredibly beautiful and I lived in northern Galicia surrounded by the wind turbines and found them to enhance the modern landscape, also no chance of a Chernobyl from a nuclear plant nor acid rain from coal burning power stations. Stuart – I’m sorry, I now really have lost the thread of your view on this and am totally confused! Are you absolutely sure you’re on the right forum?? I wish you the best of luck in your French idyll. It sounds lovely. And thanks for taking an interest in local Andaluz matters. You should visit sometime – it’s beautiful. Well, currently…. Can anyone comment on when final confirmation of the route is expected? I read earlier this evening that there was a plan to terminate the line at Almargen and upgrade the existing line to Ronda for 220km/h. I think the full route to La Indiana is a good decision, as the line between La Indiana and Algeciras is already a very arduous journey even without the zig-zag between Ronda and La Indiana. it is you who has lost the tread – you make comments about oil and tunnelling that are pure b/s. Your comments about tourism have no economic validity and you are only concerned with where you live, if you lived in another part of Andalucia you would’nt give a damn. Just so we know, do you benefit directly from tourism? We are used to shedloads of b/s from estate agents who try to hide this fact from the readers. I know Andalucia very well and have travelled through much of the rest of Spain as well, so my comments are not restricted to one tiny corner of a very big land. If you don’t like the idea of living near to a railway line – move – problem solved. Estate agents? If I were an estate agent in La Indiana following the confirmation of the new line terminating in La Indiana, I would be very pleased. Direct trains to Madrid in under three hours isn’t exactly going to hurt La Indiana. If a train rumbles it’s way through that beautiful French countryside that you live in Stuart, don’t worry, I’ll be there for you when the tables are turned. Now can we please return to the central issue on this board Stuart? Surely there must be other issues around the world you can hitchhike on? For the record on that central issue my view remains. If the new line is justifiable in economic return over what would be subsequent decades of use, it’s justifiable to tunnel it. If not, use the existing upgraded (albeit still slower) line. Do come and visit us in Ronda. The stats don’t lie, tourists love it. For now , anyway….